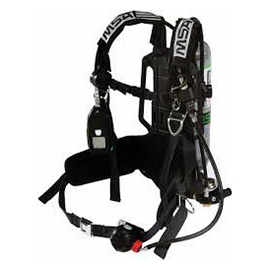 Comes with Ultra Elite Mask, Air-frame Carrier & Harness, CBRN M7 PR14 Regulator, Wireless M7 Heads Up Display, Quick Fill URC/RIC, ICM TX and MSA 2216 or 4500 psi Carbon Cylinder (MSA M7 2002). The MSA M7 Firehawk CBRN 2002 NFPA includes enhanced technology that withstands extreme temperatures. An armor shield around the electronics protects against both temperature and impact. The Accountability System is lighter in weight and easier to use – and has a platform that allows for future updates to the pack. The Air cylinders can be high pressure (4500 psi) providing 30, 45 or 60 minute air supply or low pressure (2216 psi) providing 30 minutes air supply, and can be customized for regular and extended use applications. Need a price on Reconditioned MSA M7 Firehawk CBRN 2002 NFPA's?